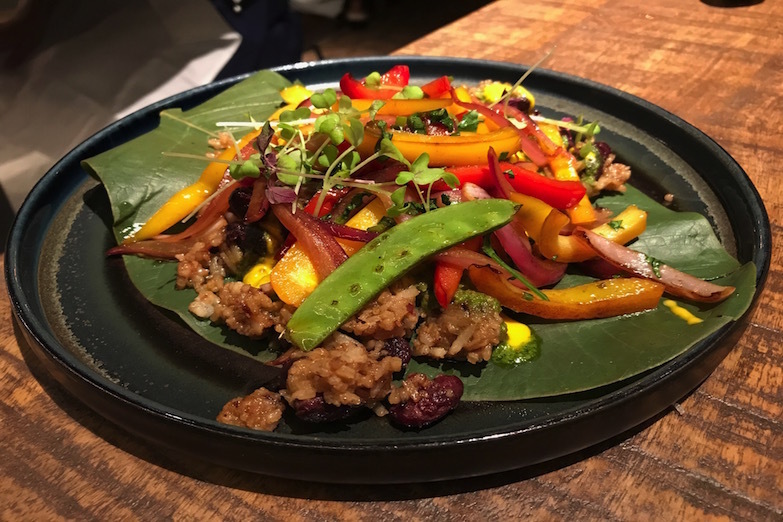 TokyoLima’s been serving up Japanese-Peruvian food in Central since January but only recently launched their omacasa brunch (Japanese omakase with a Latin twist). 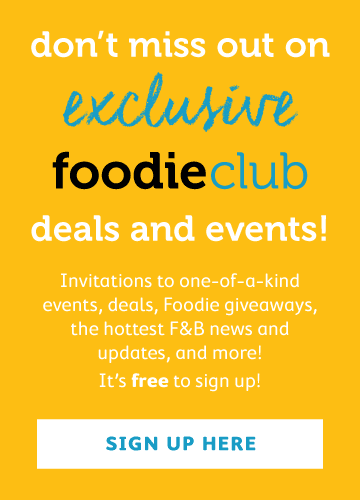 The chefs have pre-selected four small plates, two Nikkei raw plates and a dessert – all diners need to do is choose a main course each from the six options available. Honestly speaking, I had high but cautious hopes for the brunch. 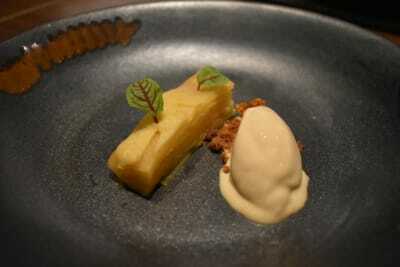 For my first TokyoLima visit on Valentine’s Day, I tried their set menu. While the food was fine, there wasn’t very much of it, and I left still hungry. Thankfully, my concerns were quickly put to rest once the omacasa dishes started rolling out. 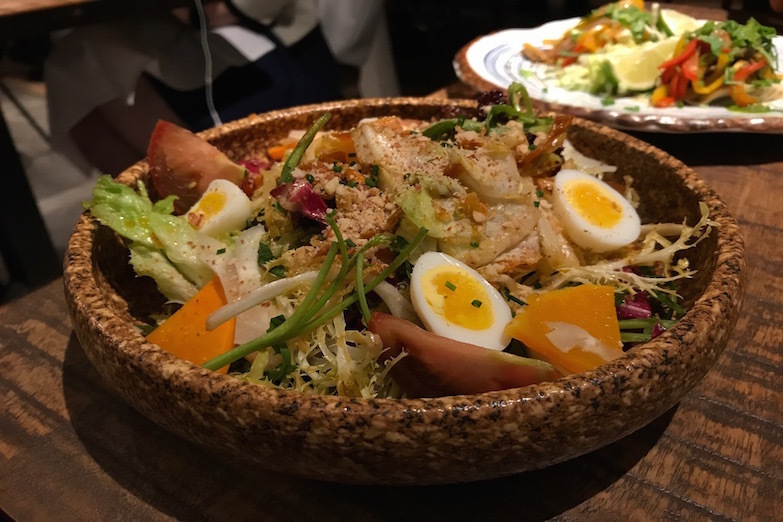 We absolutely loved the SS soba noodle salad. 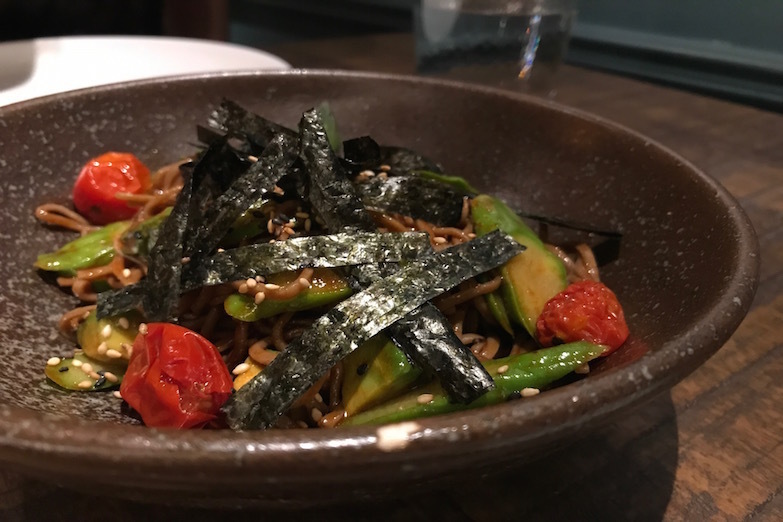 The spicy, chilled noodles were served alongside unexpected ingredients of crisp asparagus, chunky avocado and roasted tomato – a Nikkei take on a popular Japanese dish (we loved this so much, we tried to make it at home three times, but our creations never came close to the original). The ki-mo-chi fried chicken is one of TokyoLima's most popular dishes – for good reason. 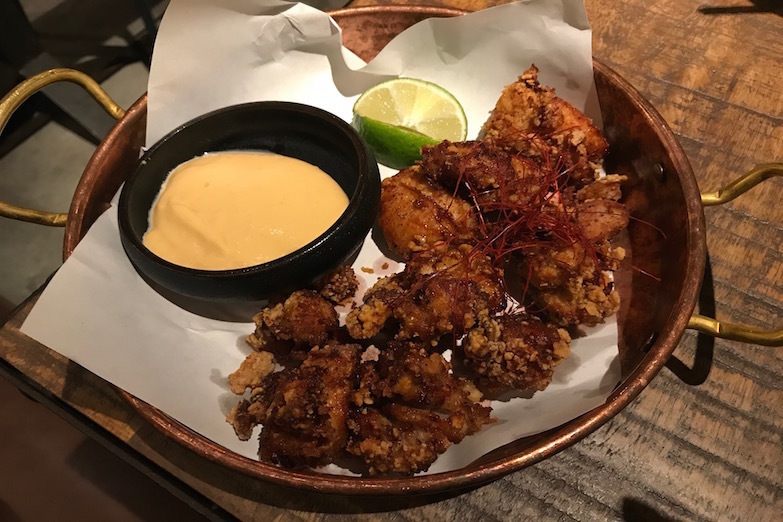 The bite-sized pieces of chicken thigh were thinly battered, making them sinfully satisfying without being too heavy. For additional flavour, the chicken was topped with saffron and served with a soy-based mayo. We’d never had a stir-fry in a taco before, but the lomo saltado 'el taco' worked. The beef and vegetables were fragrant, fried up in a tangy chimichurri sauce, then loaded onto crisp tortillas. Not being a massive fan of salads, we were pleasantly surprised by the T3 salad. It was anything but boring, with pumpkin slices, glass noodles and ground-up almonds mixed in with the more common ingredients. The Nikkei dressing was salty and slightly oily. 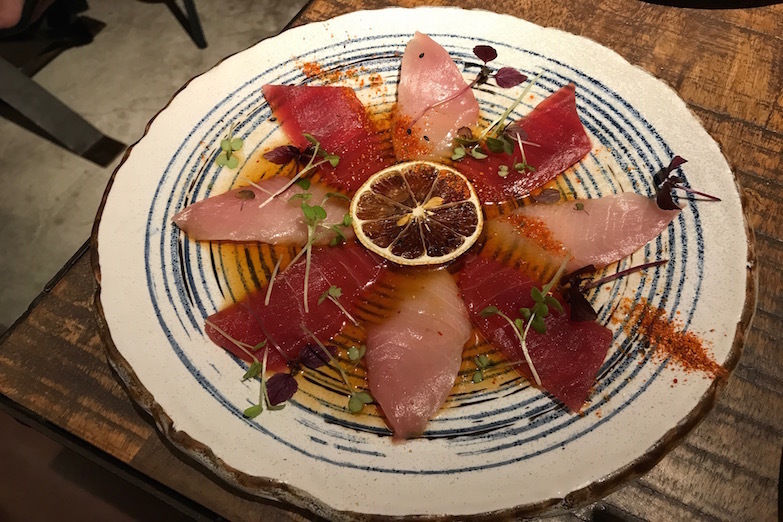 It was our second time trying the H&M, hamachi and maguro tuna in a shoyu-citrus dressing. A refreshing, classic sashimi dish that impressed us again. 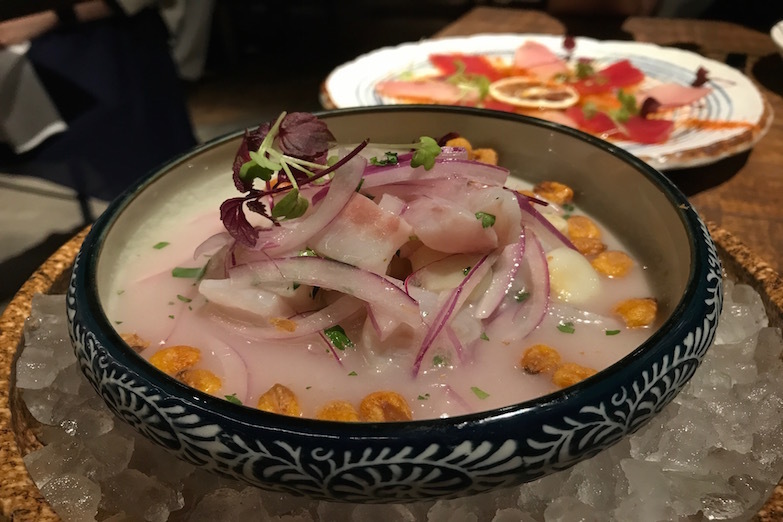 The ceviche classico was made with sea bass and 'tiger’s milk', what Peruvians call the citrus-based marinade that cures the seafood in a ceviche. There was a bit too much raw onion for our liking, however we loved the two types – boiled and fried – of choclo (Peruvian corn) included. 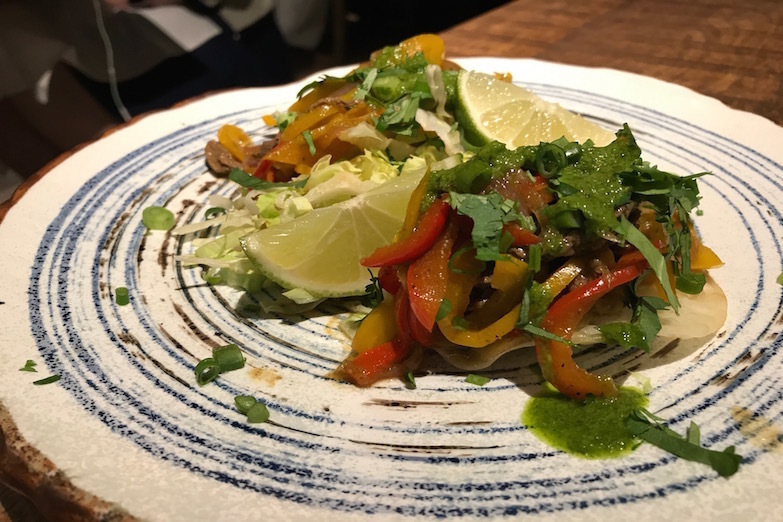 Originally, we wanted to choose two meat dishes for our mains but decided to give the vegetarian-friendly tacu tacu a try as we'd never tasted it before. It’s a stir-fry, similar to what was served in the taco course earlier, but had the addition of a wonderful fried rice and legume mixture. The smokiness and stickiness of the rice made this dish memorable. For our second main, we chose the grilled black cod (+$68). The flesh was nice and fatty, as a good cod should be. Our menu said we’d be served a dessert platter made up of a selection of sweets, but we received a banana split instead. No complaints though, as it was impressively American sized and styled. 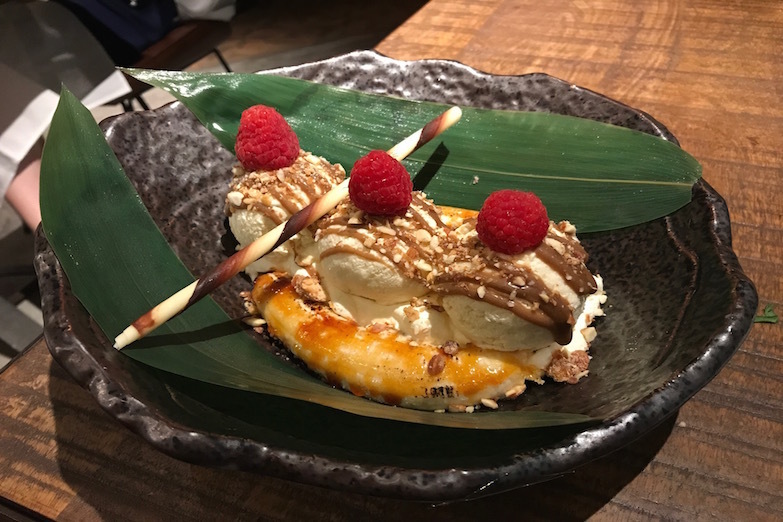 We loved the brûléed bananas, cinnamon ice cream and buttery cookie crumbs – a fun and not too heavy way to end our meal. We highly recommend the omacasa brunch. 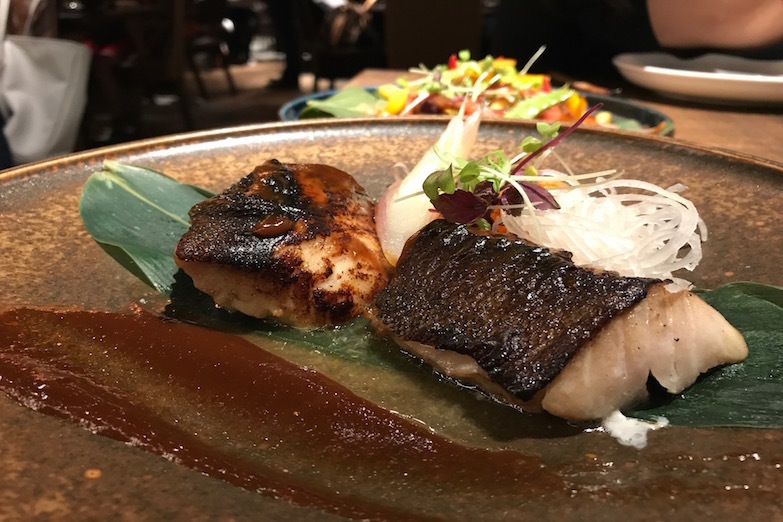 Not only were the dishes delicious and creative, but the order and timing of how they were served seemed carefully considered for guests’ maximum enjoyment – in true omakase style. While each dish was flavourful, none overpowered the next. This time, I practically rolled out of TokyoLima. 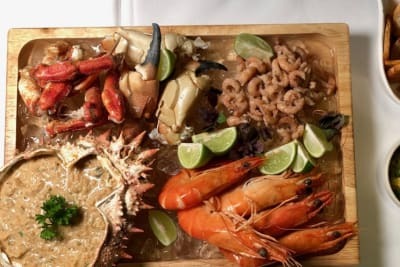 At $398 per person, it gives the buffet options in town a run for their money and is now definitely one of my favourite brunch spots in town.